Developed by Codemasters Software, another installment in the racing series under the Formula 1 official license. The authors focused on developing the ideas from the previous part while giving the players an opportunity of taking part in the 2018 season. 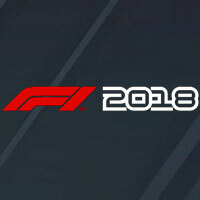 F1 2018 is another instalment in the racing series under the Formula 1 official license, developed by Codemasters (the fathers of such series as DiRT and GRID). The title was released the same weekend the Belgian Grand Prix took place on the legendary circuit Spa-Francorchamps. F1 2018 offers Formula One cars and teams competing in the season 2018. Besides that, the game features classic cars which the players could drive for the first time in the previous instalment. Races take place on real circuits that the production faithfully recreates. The production offers a whole bunch of single-player game modes, with the extensive career mode being the most important one; apart from racing, we need to take care of our car by improving its performance without violating the actual rules. Moreover, F1 2018 features multiplayer with statistics and a progression system. F1 2018 utilises the engine known from the previous games in the franchise. Still, just like every year, the creators introduced a number of technical and visual improvements.